An adorable Christmas frame to showcase your little blessing this year. 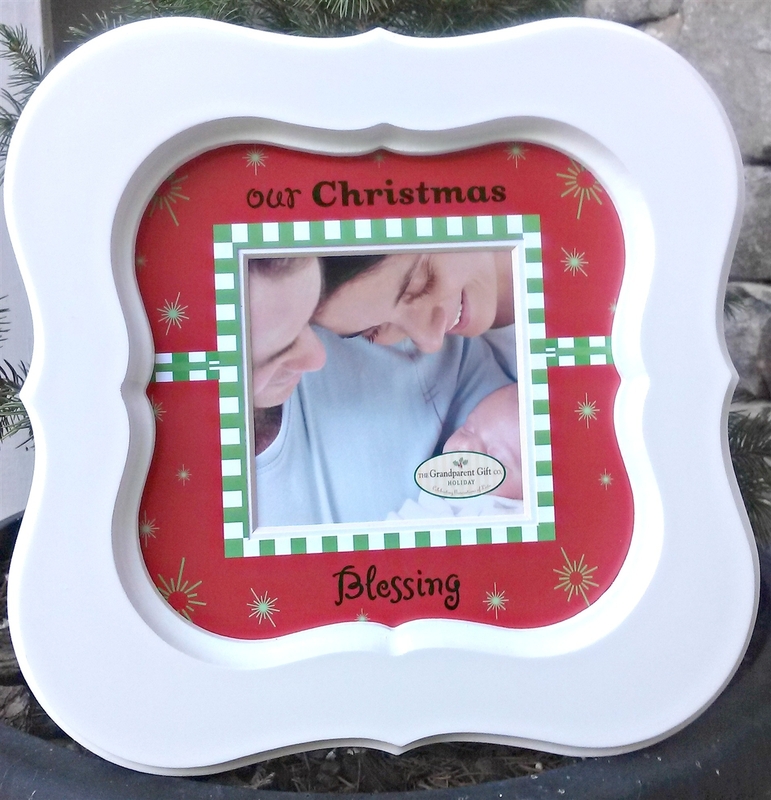 The "Our Christmas Blessing" Baby photo frame is the perfect Christmas gift for new parents. Our 6x6 scalloped frame has an opening for a picture of Baby's First Christmas. Great as a gift for new grandparents to show off their little grandchild through the holidays!